Courtnie B. shows off her award-winning art. Throughout the year, Mrs. Gormin's art students enter their work in various art contests. Students either receive awards or the opportunity to have their work displayed around the county. 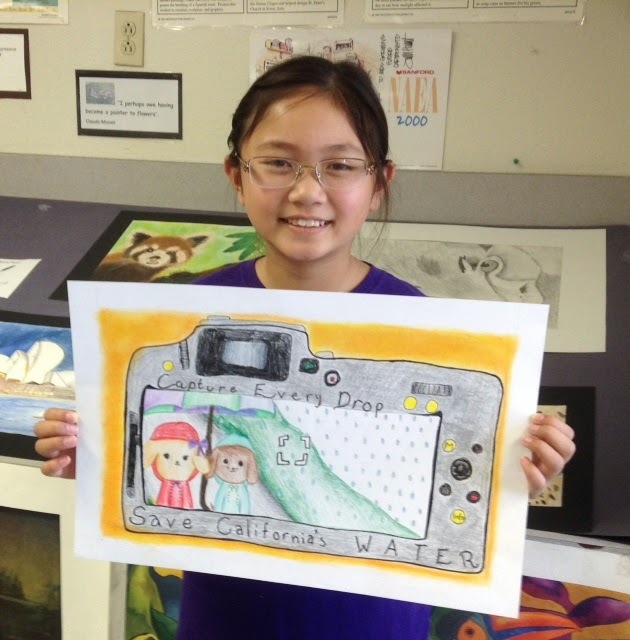 We are proud of our young artists! Out of a total of 24 awards, Fairmont Historic Anaheim Campus won 11 awards! 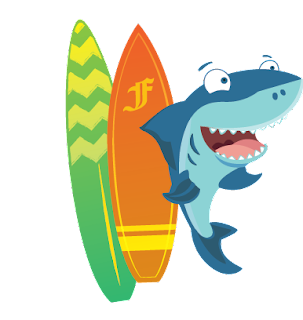 Surf's Up at Fairmont Summer Programs so get ready for an "epic" learning adventure! Fairmont’s ACA-accredited camp, our renowned summer school, and a comprehensive line-up of enrichment courses provide dozens of options for customizing a summer experience that suits your child’s needs and your family’s schedule. Whether it's building confidence in academic subjects at summer school or strengthening social skills at camp, your child will come away from summer at Fairmont feeling smart, self-assured and ready to rock a new school year. Enroll Now!